This new version of the AlphaTrack Driver and Control Surface Plug-in for Digital Performer® is available for purchase. 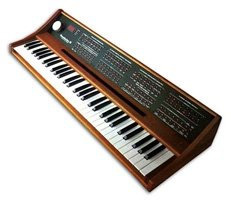 A collaboration between Frontier Design Group and Synclavier Digital has created an updated version of the AlphaTrack Driver as well as the Control Surface Plug-in for Digital Performer®. 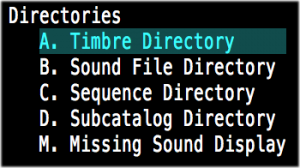 Version 1.4.1 of the AlphaTrack Driver now includes a signed kernel extension for use with Mac OS 10.9 or later. Two installers are provided, one for Mac OS 10-6 through 10-8 and one for Mac OS 10-9 and later. Each installer places all the required AlphaTrack Driver components on your computer and also installs the Digital Performer® Control Surface Plug-in. Version 1.02 of the AlphaTrack Control Surface Plug-in for Digital Performer® is built for 32-bit and 64-bit versions of Digital Performer®, including Digital Performer® 8 and 9. It requires Mac OS X 10.6.8 (“Snow Leopard”) or later. 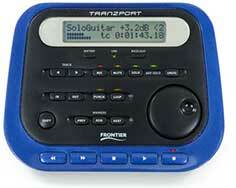 We also have an updated driver and plug-in for the Frontier Design Group TranzPort wireless DAW control. 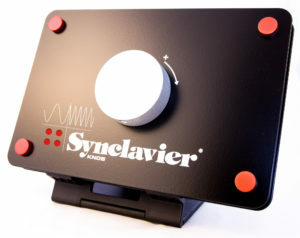 Additionally, earlier versions of the AlphaTrack Plug-in implemented the Add Marker feature by sending a control-M into Digital Performer®. This updated driver sends an F7 key press instead. 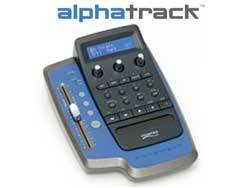 To use the Add Marker feature of the AlphaTrack you will have to map F7 to the New Marker command in Digital Performer®. Mac OS 10.13 “High Sierra” introduces a new security feature that requires users to specifically approve thid-party kernel extensions before they will be loaded. Learn more about it at Apple’s Tech Note 2459.